My kids wanted to have some snack after coming from school and daily the lil' one gives idea for the snack. Some days he ask for some simple snack like Rice Flour Puttu, Kara Pori and deep fried delights like Onion Pakora, Dal Vada. 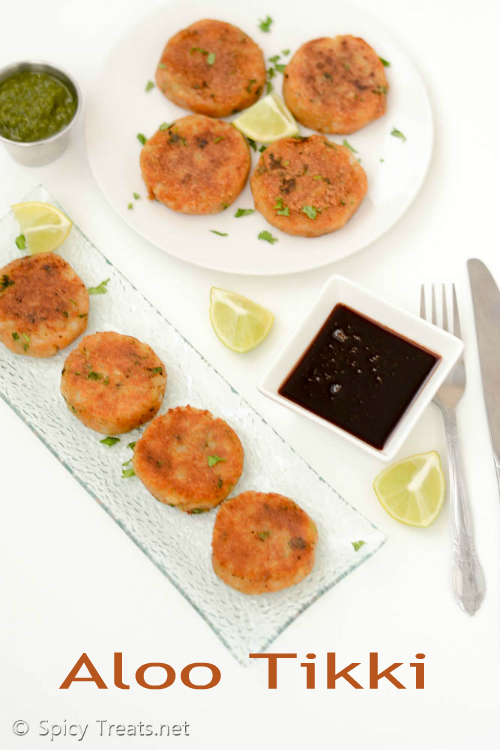 Most of the days I make something for their after school snack and some days I plan to make something that I haven't shared here so that I can feed both my kids and my blog :) I made this aloo tikki last week for their snack and also clicked some pictures to share here. 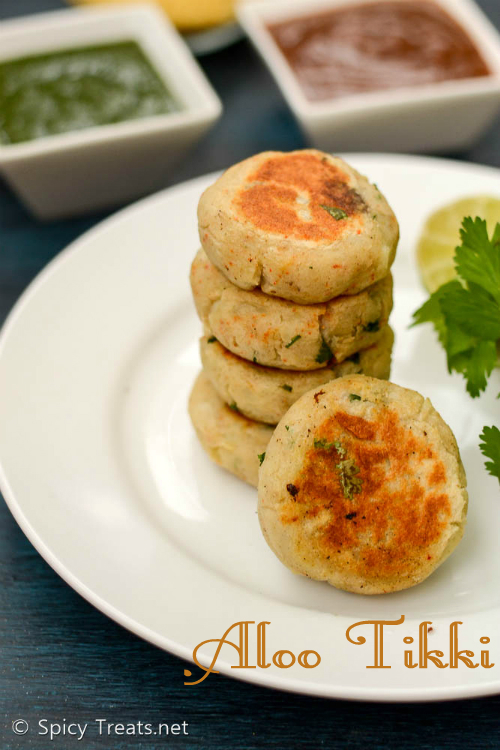 I often make aloo tikkis or patties either for snack or for lunch as Aloo tikki Roti Roll which was my kids' favorite lunchbox recipe. I have shared the recipe in my Instagram Page. 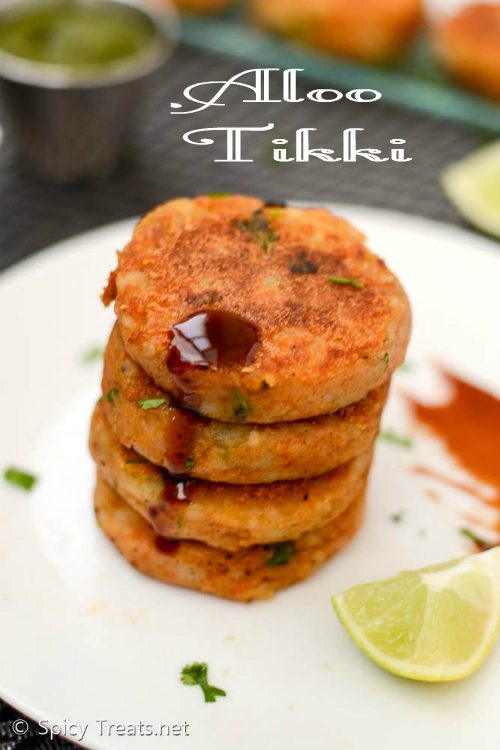 You can make this tikkis in large portion and freeze it for later. 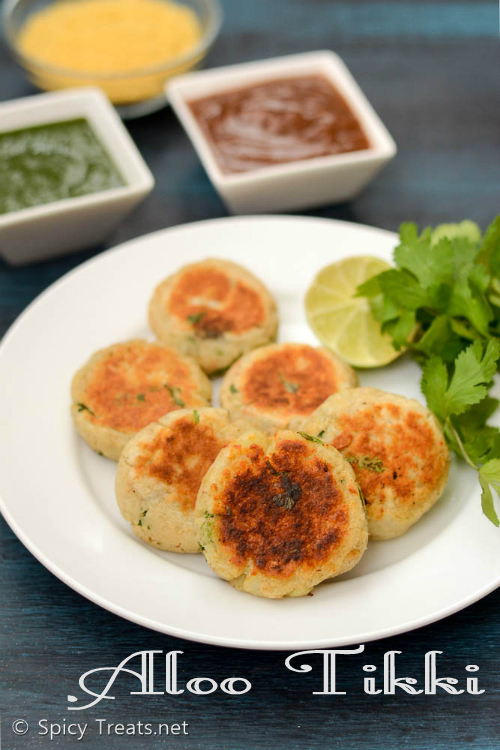 Whenever required just thaw and toast it in tawa and serve as a snack or as sandwich or with roti roll. 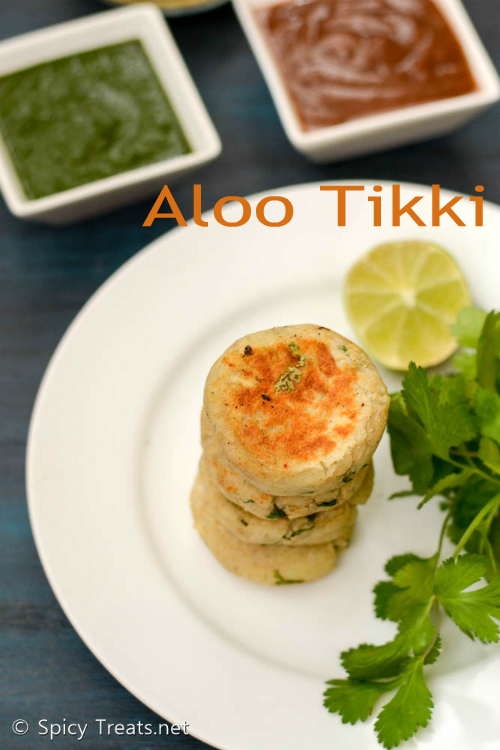 Either way these aloo tikkis tastes great with chaat chutneys. flour to adjust the moisture and if it is half cooked then you cannot mash it properly. So it is good to choose thick and sturdy potatoes and cut into only 2 halves and pressure cook for 2 whistles. I used russet potatoes, it gives nice crispy crust and inner soft texture. But you can use any desired potatoes. Wash potato cut into 2 halves and pressure cook for 2 whistles and allow the pressure to cool down completely. After that open the lid, peel skin and mash it using vegetable masher. Take the mashed potato in a bowl, add all the ingredients except oil and mix well to a smooth stiff dough. Then divide the potato mixture into 12 equal portions and then take one portion roll it to a smooth round ball like how we shape ladoos. Now flatten the round ball in between your palms to a patty. If required grease your hands with oil. Do repeat the same for remaining potato mixture. 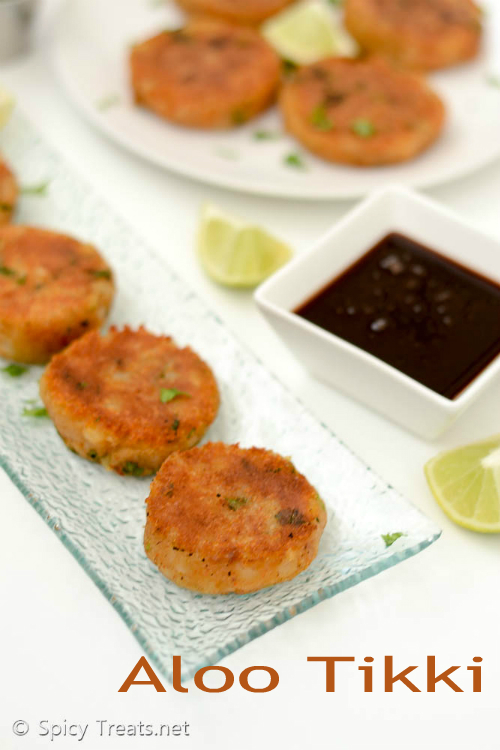 Once done, heat a pan or tawa toast or shallow fry the tikkis and serve hot with Chaat Chutneys. In the above picture I added more chilli powder(than the mentioned quantity) by mistake hence the potato mixture was reddish in color. Luckily the chilli powder wasn't spicy and only has deep red color. You can also use finely chopped green chilli instead of red chilli powder. Adding amchur powder is optional you can skip or replace with few drops of lemon juice. I shallow fried some tikkis and toasted the rest in tawa. I took 2 pictures in 2 different days, the light colored tikkis are with less chilli powder and toasted with less oil.